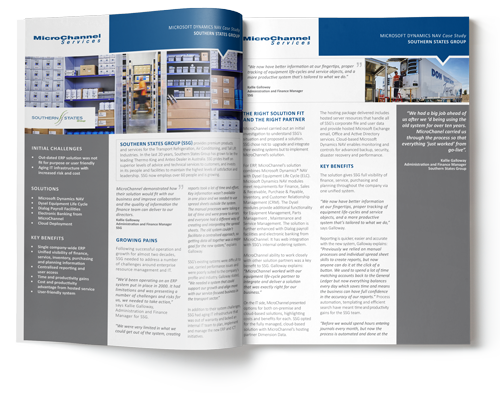 POCO Australia needed excellent ERP and POS solutions for managing their retail back office and store operations. Learn about how MicroChannel helped POCO to think beyond traditional POS and implemented the perfect-fit solution which reduced up-front IT costs by over 50%. 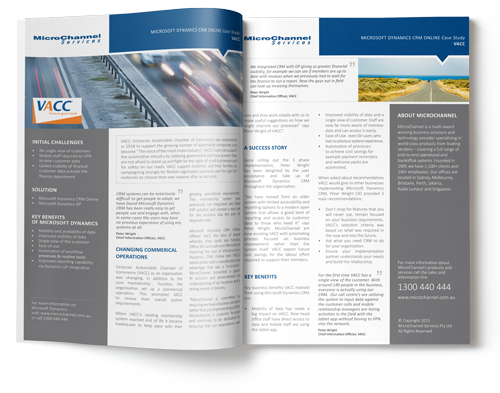 Victorian Automobile Chamber of Commerce’s (VACC) existing membership systems reached end of life and grew inadequate to keep pace with their growing operational requirements. Learn how Dynamics CRM Online gave VACC mobility & visibility of data and most importantly a single view of customers. Our suite of solutions customised for Southern States Group included Microsoft Dynamics NAV, Dysel Equipment Life Cycle, MicroChannel electronic banking and cloud solutions which improved visibility of finance, service, inventory, purchasing and planning across their business.